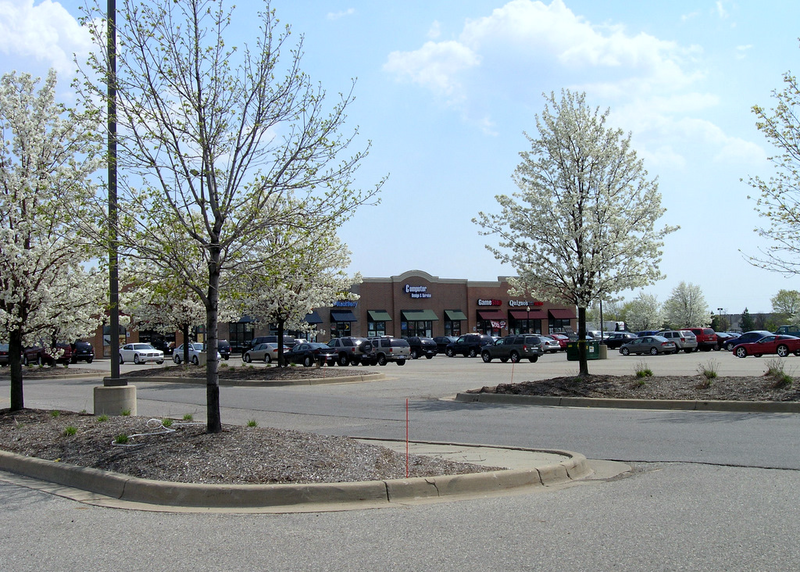 The Shops at Shelby is a 163,068 square foot shopping center located on the northwest corner of Hall Road (M-59) and Market Street in Shelby, Michigan. 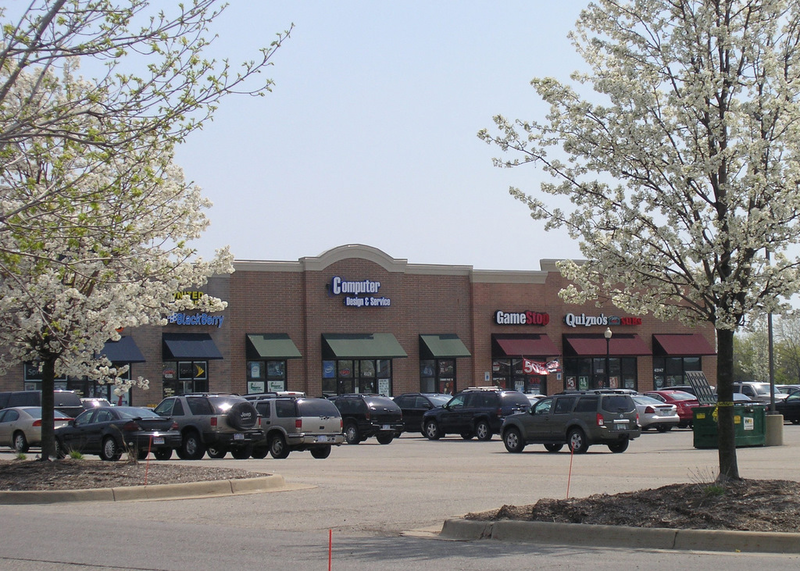 A 143,045 sf anchor space is available as well as a 1,800 sf endcap with patio seating and 2,663 sf inline suite. 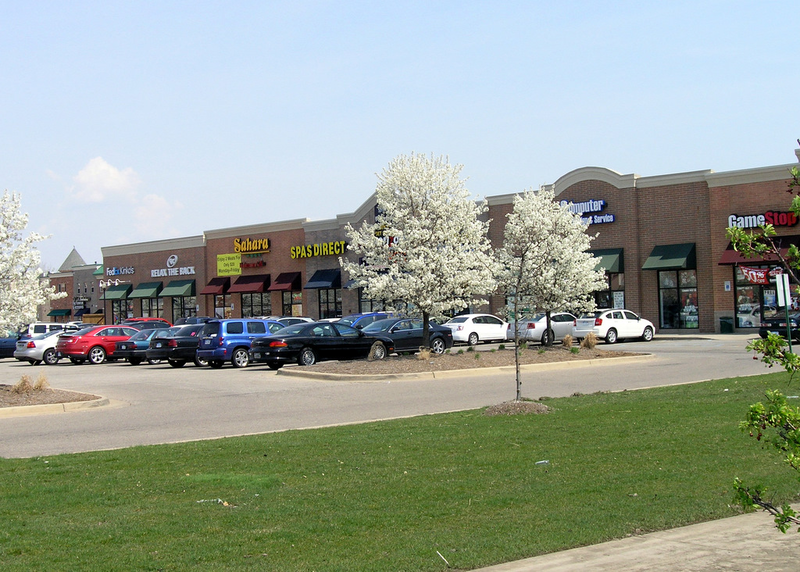 The shopping center includes a 20,000 square foot retail strip occupied by tenants such as Sprint, Eyeglass World, FedEx Kinkos, and Sahara Mediterranean Grill. 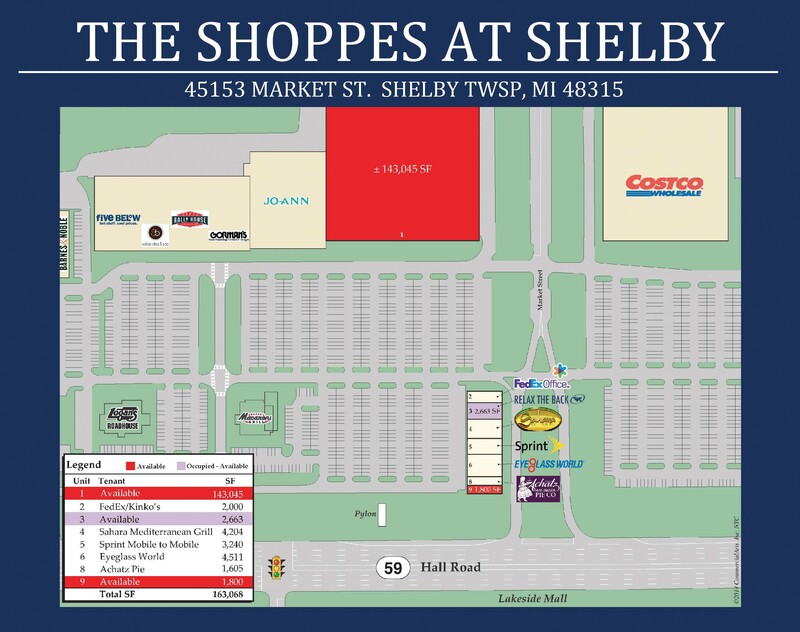 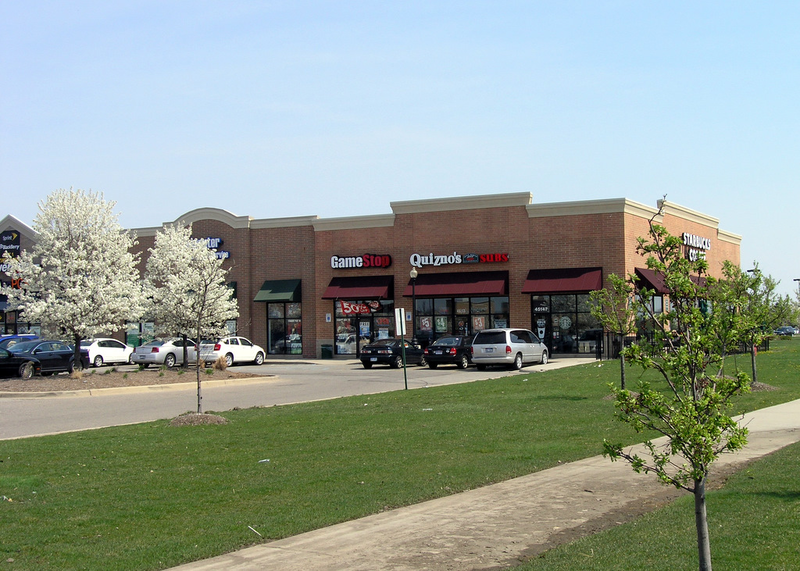 The Shops at Shelby is adjacent to Costco and across from the Lakeside Mall.